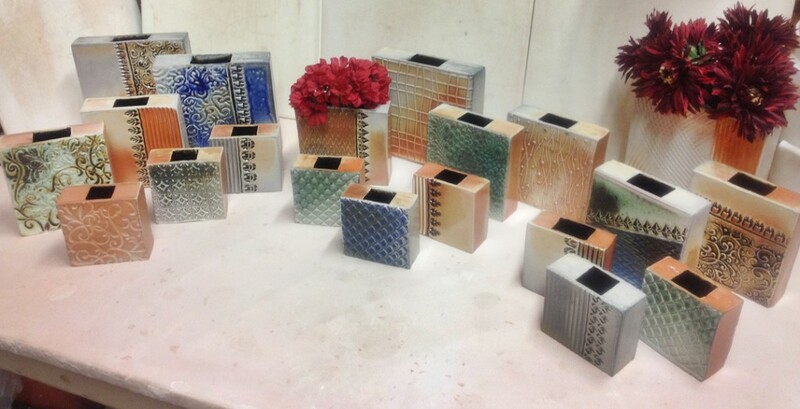 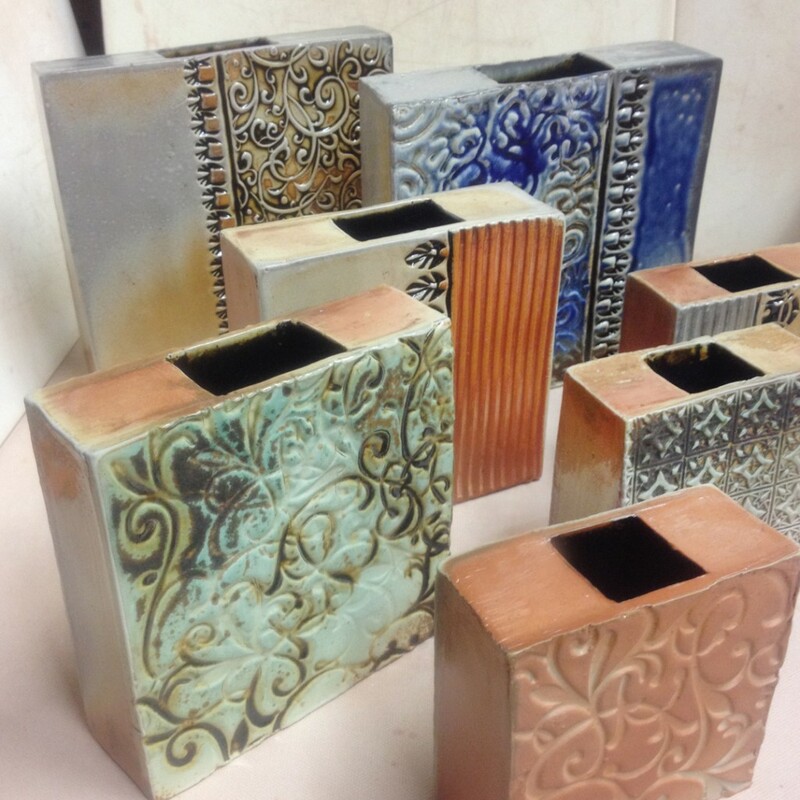 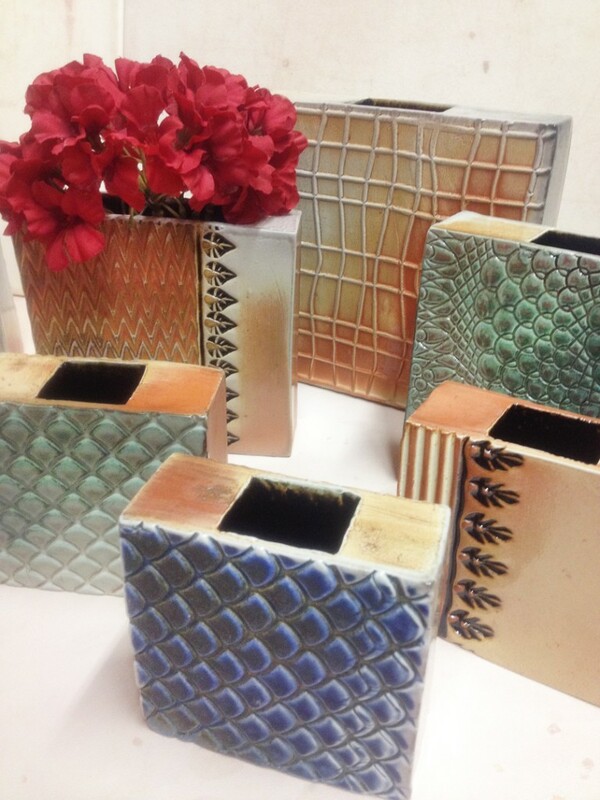 Also fresh from this week’s soda kiln, a new collection of textured square slab vases… in three sizes!!! 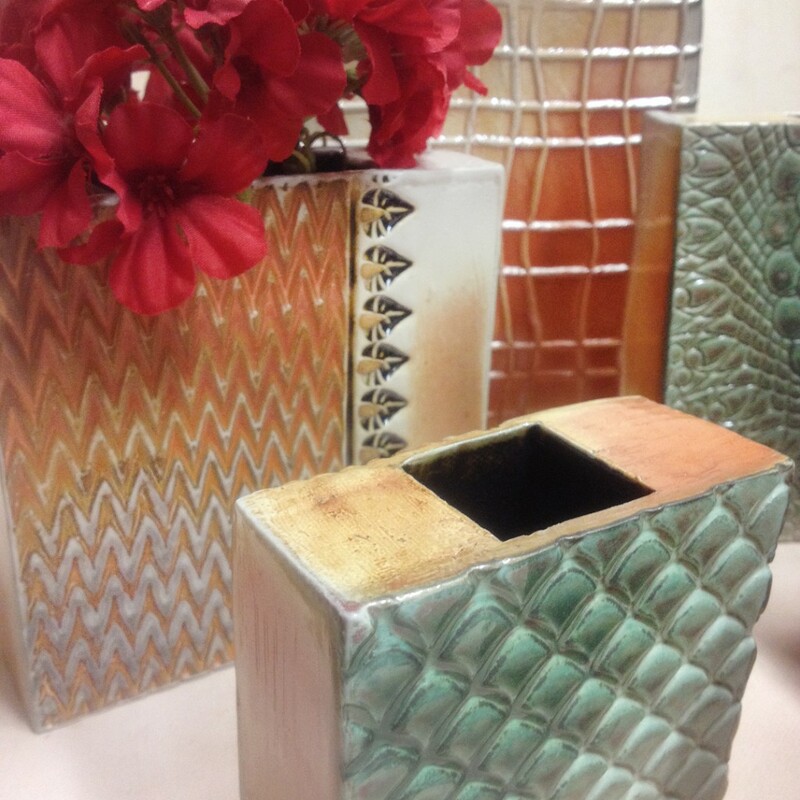 With a different texture “picture” on each side of the vase! 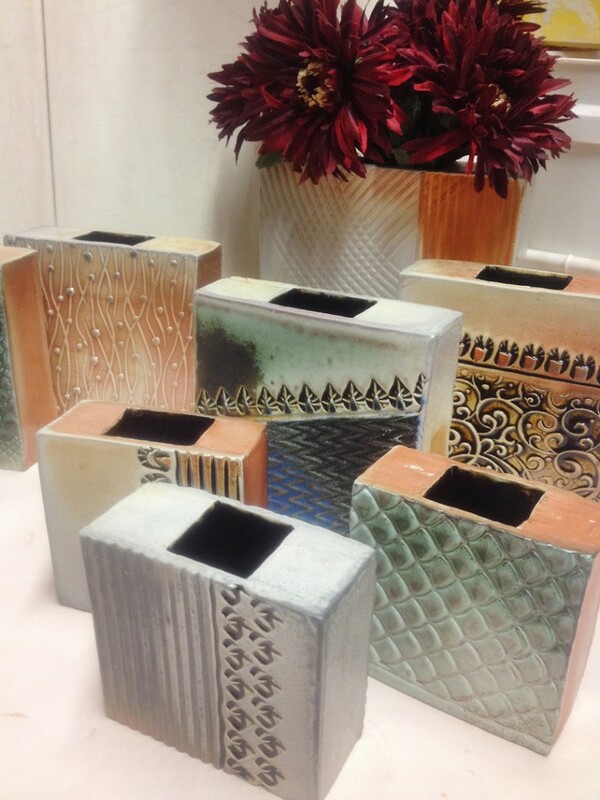 Perfect for the soon-to-be-here Spring flowers!!! 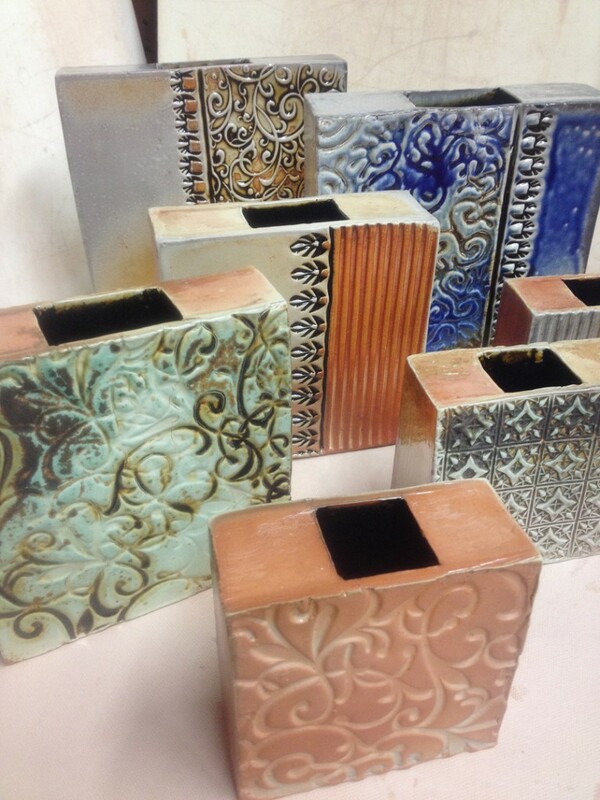 And making their “big debut” next weekend at the Prairie View Arts Invitational in Naperville!